1. The Revolutionary War (1775-83). 2. The Treaty of Paris Period (1783-87). 3. The Constitution, including the Convention (1787), ratification (1788), and implementation (1789). While Paul Revere's Midnight Ride the night before the exchange of gunfire at Lexington and Concord on April 19, 1775, symbolize the military aspects of the Revolutionary War, there were many important battles in other cities and towns. While eight cities served as capital of the United States before Washington, D.C., Philadelphia symbolizes the political aspects of the Revolutionary War because the Declaration of Independence was signed there in 1776, Congress met there most often during the war, the Constitution was written there in 1787, and once the new Constitution went into effect in 1789, it soon became the capital city for most of George Washington's presidency (1791-97). While it seems that only historians and teachers know this, it doesn't diminish the fact that the first president independent of the legislature, George Washington, and the first bicameral legislature of the new Constitution all took their oaths of office in New York and served there for the duration of the First Federal Congress (1789-91). In fact, the unicameral Congress under the Articles of Confederation also met in New York during the Constitutional Convention and while the Constitution was being ratified by the states. Annapolis was the first peacetime capital of the United States. After the Treaty of Paris was signed in France on September 3, 1783, formally ending the Revolutionary War, Congress moved to Annapolis. They served in the Maryland State House from November 26, 1783 to August 13, 1784. Civilian rule of the United States became permanent in Annapolis. 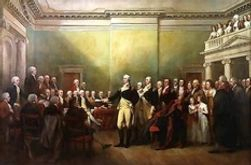 George Washington resigned his commission as Commander-in-Chief in Annapolis.This selfless act by General Washington allowed for the permanent civilian rule of the United States. His original letter of resignation is on display inside the Maryland State House, outside of the actual room--the Old Senate Chamber--where it took place on December 23, 1783, before Congress and President Thomas Mifflin. In fact, his speech is addressed to "Mr. President" (Mifflin). 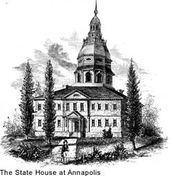 The United States became officially independent in Annapolis. Congress ratified the Treaty of Paris in Annapolis on January 14, 1784, when President Thomas Mifflin signed the American ratified version and shipped it back to Paris to be exchanged with the ratified British version signed by the king. This exchange took place on May 12, 1784, the day that American independence became official. In fact, President Thomas Mifflin became the first American president--five years before George Washington--to be recognized by Great Britain. The first Secretary of Foreign Affairs of an officially independent United States was appointed in Annapolis. Just as there were presidents before Thomas Mifflin--let alone George Washington--Mifflin was the first to be officially recognized by Great Britain as the president of an independent United States. The men who served as president before Mifflin were considered traitors by the British and subject to arrest. 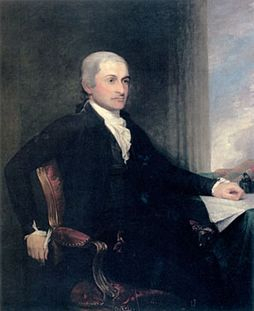 Likewise, although Robert Livingston had served in the position during the war, John Jay was the first Secretary of Foreign Affairs to be recognized by the British after official independence was granted. Jay's appointment was approved by Congress on May 7, 1784,and then signed by President Thomas Mifflin. 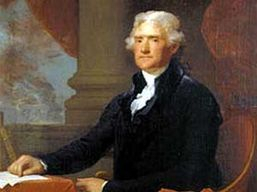 Thomas Jefferson was appointed to serve as a Minister in France in Annapolis. While Thomas Jefferson eventually succeeded Benjamin Franklin as United States Ambassador to France, his first appointment to France took place on May 7, 1784, while he was still a delegate to the unicameral Congress under the Articles of Confederation. This was the same day that John Jay was appointed as Secretary of Foreign Affairs and it followed Congress passing the 1784 Land Ordinance, authored by Delegate Jefferson, on April 23, 1784, the first piece of legislation toward what would become the 1787 Northwest Ordinance. The Maryland legislature ratified the Mount Vernon Compact in Annapolis. The Mount Vernon Compact, the product of the conference of delegates from Maryland and Virginia held from March 25-28, 1785, allowed Virginia to use the Potomac River, which Maryland owns, and set the stage for the Annapolis Convention the following year by inspiring hope that the states could also solve other disputes covering a variety of important issues. The 1786 Annapolis Convention directly led to the Constitutional Convention. 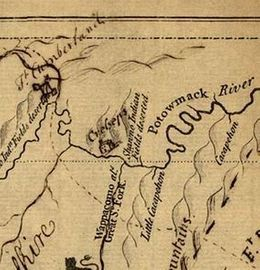 Two weeks after Shays's Rebellion began, while Congress convened in New York, 12 commissioners from 5 states met at Mann's Tavern in Annapolis from September 11-14, 1786. Tasked with analyzing the Articles of Confederation's wording to find a way to provide Congress with the power to tax the states in order to pay the wartime debts under the Treaty of Paris, in order to avoid a default, the commissioners saw no way to do this. 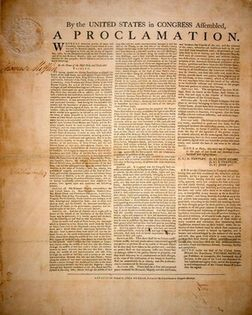 Since amending the Articles of Confederation required the unanimous consent of the states, which had already voted against an amendment giving Congress such power, Alexander Hamilton's official report called for a new meeting in Philadelphia the following year that would become the Constitutional Convention. Below: Watch the 15-minute film produced by Annapolis City TV that explains the role of Annapolis during the Treaty of Paris Period.